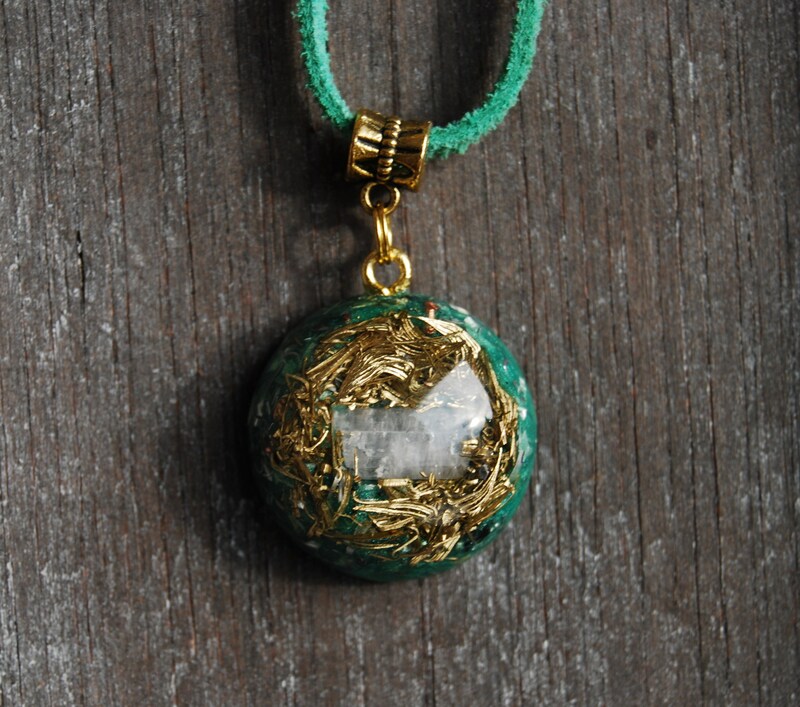 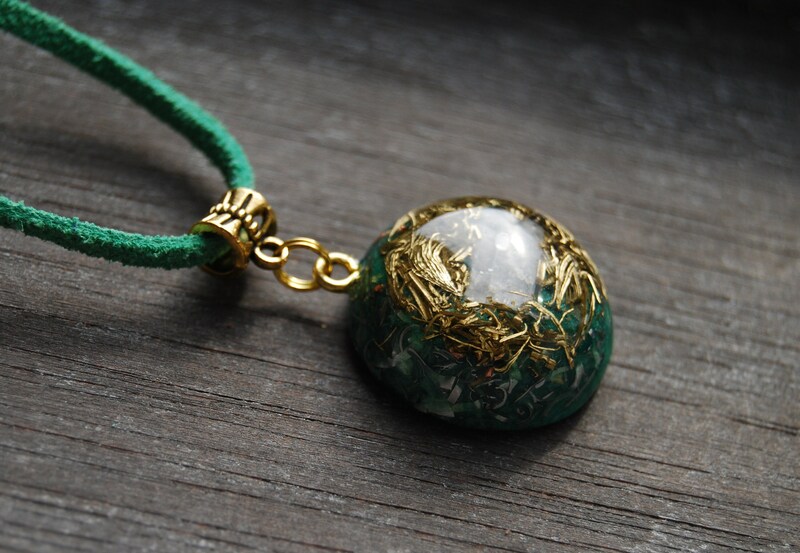 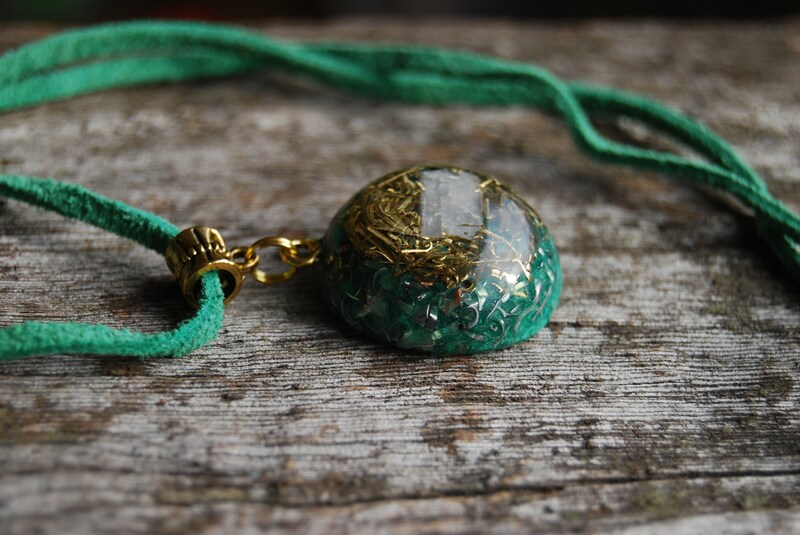 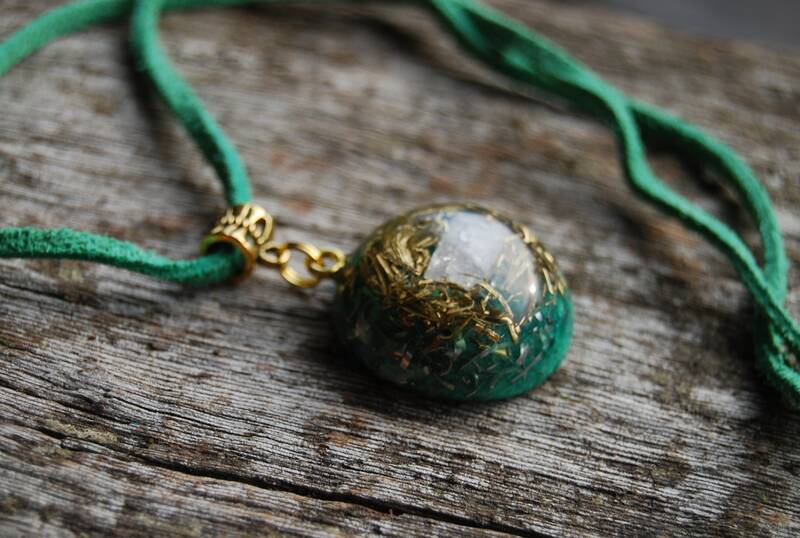 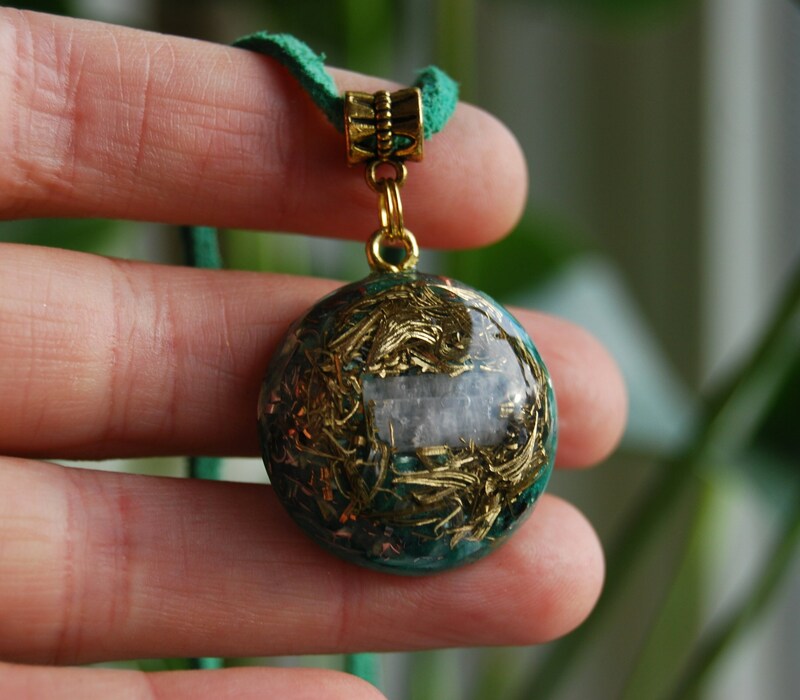 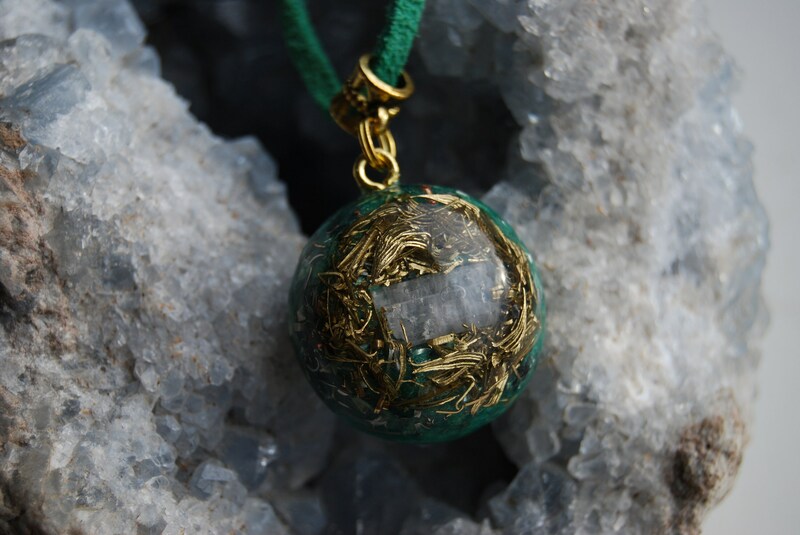 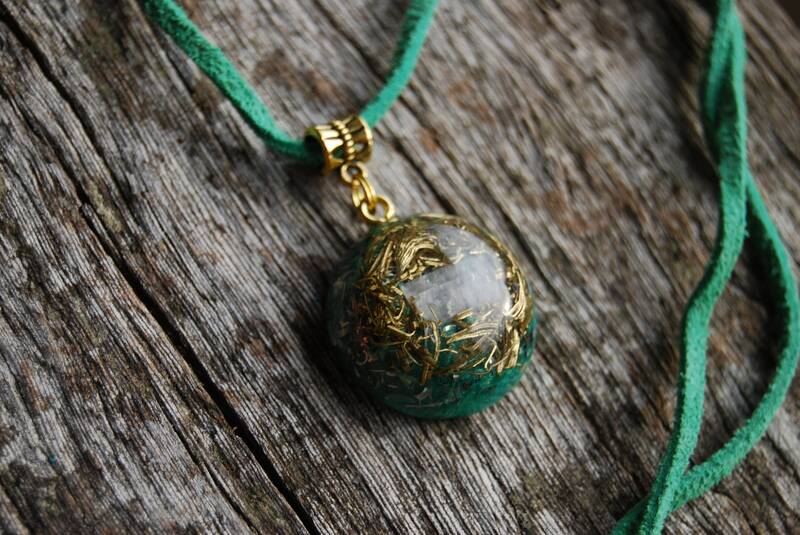 This lovely 2.7 cm / 1.1" in diameter Orgonite® pendant contains brass, aluminum and copper shavings. 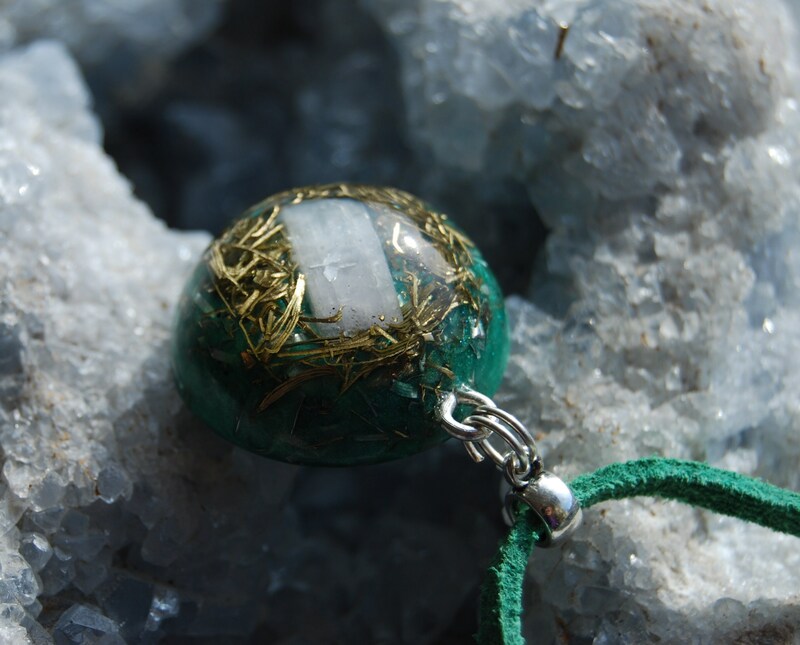 The main stone is light green Kunzite in the front. 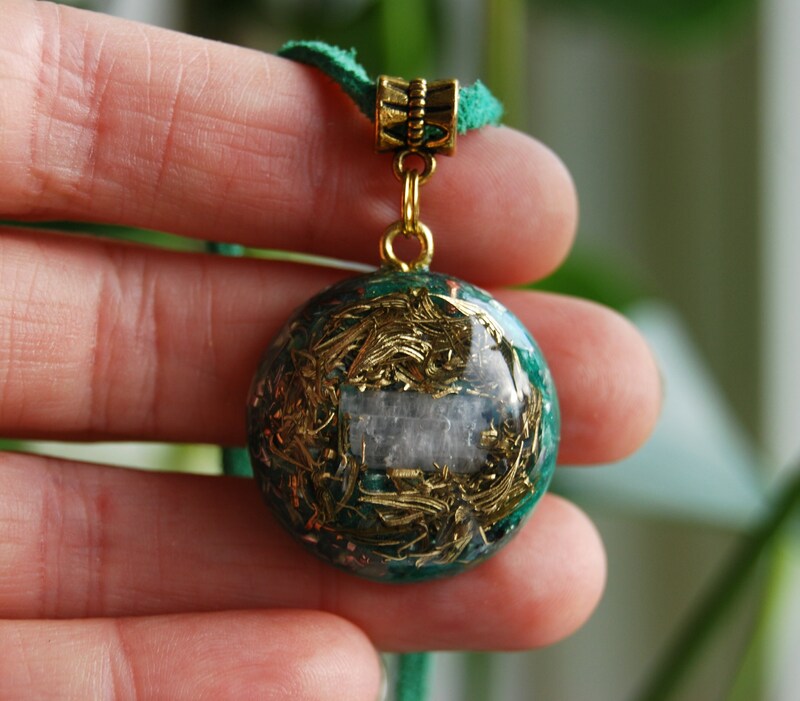 It furthermore contains Pyrite (to enhance and protect), Rhodizite (front - to amplify), black Tourmaline (to ground excess energy and protect), Selenite (to charge and clean) and clear Quartz all within a durable resin setting.